I love you without knowing how. I love you without knowing when. I love you without knowing why. 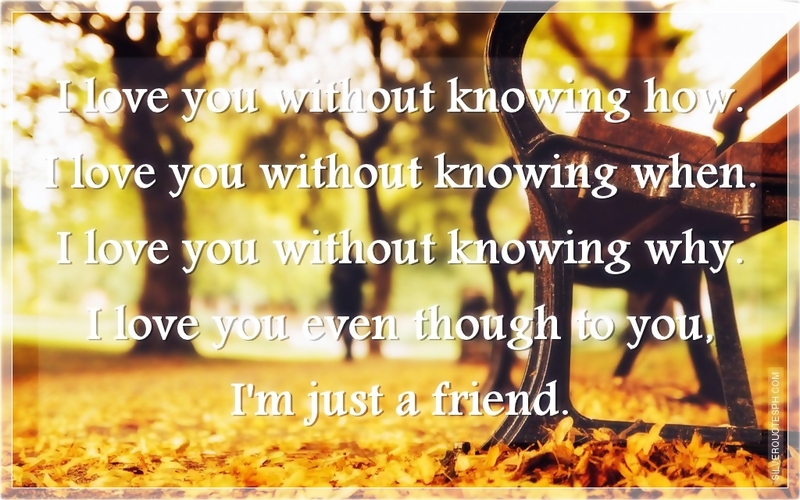 I love you even though to you, I'm just a friend.